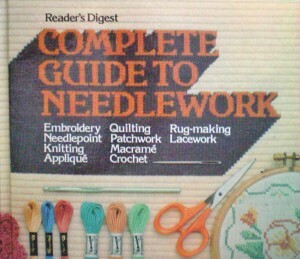 A complete guide to the many arts of needlework, including embroidery, crocheting, knitting, quilting, and lace-making. This book is both comprehensive and easy to understand, making it a rarity among textbooks. Suitable for dressmakers, quilters, and historic costumers, it covers a wide array of needlework arts and each subject is presented with clear instructions and step-by-step illustrations. 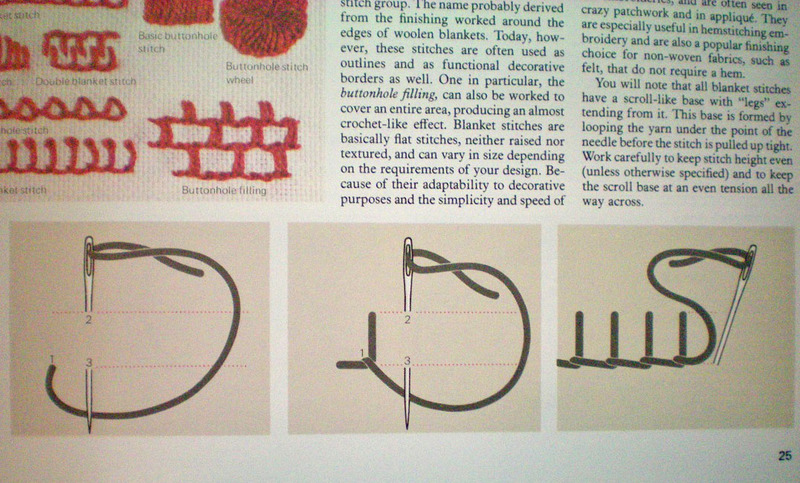 The chapters on embroidery have been quite useful to me. 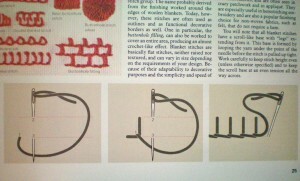 I taught myself to embroider many years ago using this book, and I glance through it whenever I need a refresher. There are several chapters on lace-making, as well, which should provide hours of entertainment for historic costumers who want to make their own trims. 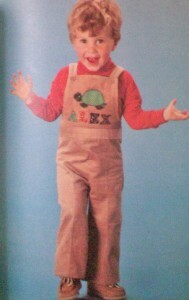 The book was published in 1979, so the photographs are obviously dated. Not many people are into macramé these days, or appliquéing their maxi-dresses with needle-lace butterfly yokes, so some of the projects might not appeal to everyone. The instructions themselves, however, are quite sound and still applicable today. If you can overlook the unfashionable projects and illustrations, you’ll find quite a lot of useful information in this book. 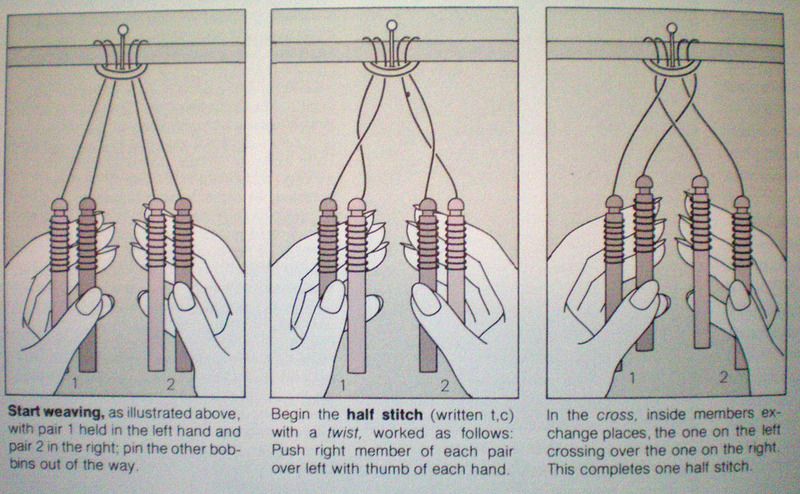 It’s a great textbook for all manner of needle arts. I give it four out of five stars, simply because the dated photos and projects are unappealing. Otherwise, it’s a fantastic instruction manual. Have you used this book to teach yourself embroidery, crocheting, or any other needlework? What do you think of the book—is it useful or outdated? 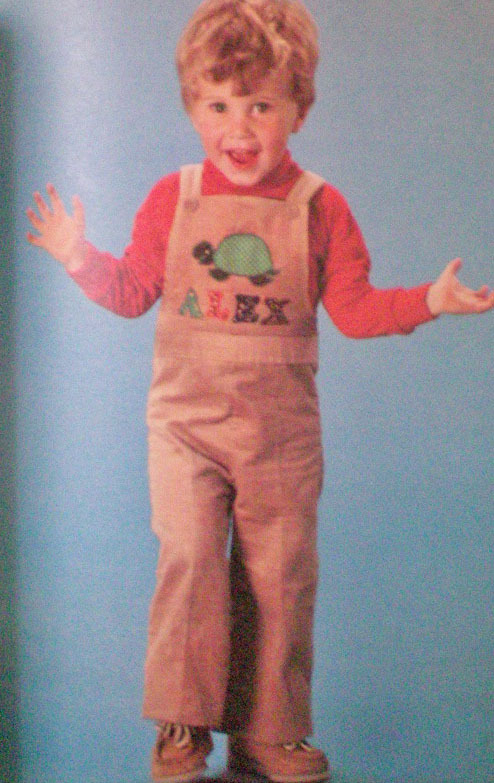 This entry was posted in Thursday's Book Reviews and tagged Book Review, Modern Garments, Thursday, Victorian. Bookmark the permalink. 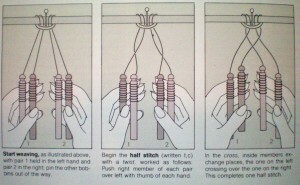 The Complete guide to Needlework has taught me everything I know and more. I have learned to knit, crochet, embroider and am now learning needlepoint. The illustrations are very clear. I don’t mind the out-dated patterns as they are becoming quite popular now! I agree, it’s an excellent book to learn on! If you’re looking for additional embroidery stitches, try the Embroidery and Crazy Quilt Stitch Tool by Judith Baker Montano, which is very easy to use and contains a number of stitches I’d never seen before.